In June 2005, the Harpswell Foundation completed a four-room elementary school building in the village of Tramung Chrum, about 50 miles northwest from Phnom Penh, in the province of Kampong Chhnang. In the Fall of 2009, we initiated three additional projects in Tramung Chrum: drip-irrigation agriculture, with improved farming methods; a sewing school; and a health care program, providing funds for transportation to medical facilities and treatment in those facilities. Tramung Chrum is Muslim community, a small minority in the largely Buddhist country. Islam in Cambodia is of a special kind called Cham and Tramung Chrum is a sect of Cham called Imam San. The village has about 70 families and a total population of about 600 people, including about 150 children between the ages of 5 and 16. 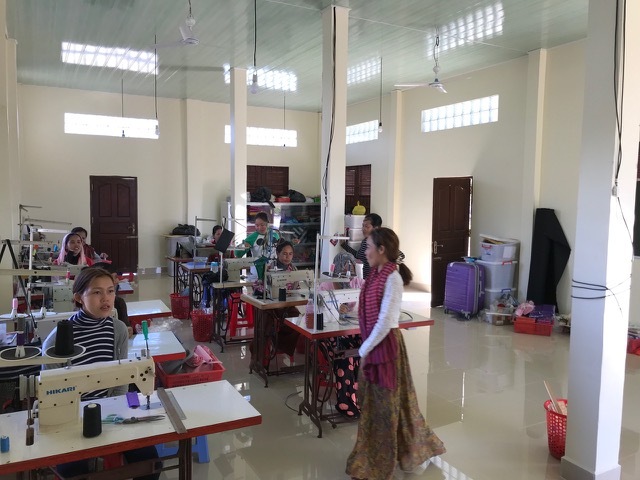 In the Fall of 2009, Harpswell started a sewing school, led by one of the young women of the Tramung Chrum village, Hap Saly. Harpswell supported Saly to get advanced sewing lessons and provided her with a sewing machine. Since May 2010, Saly has been running a sewing school in the village and has trained half a dozen young women how to sew.